flywheel while fitting the clutch cover plate. Sizes : 11 | 12 | 15 | 17 | 19 | 20 | 21 | 25 mm. 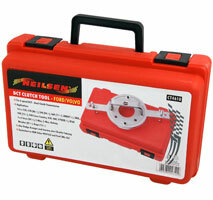 For Aligning single disc clutches on most vehicles. 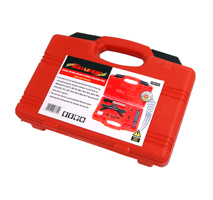 Suitable for a wide range of vehicles and some light commercial vehicles. Screw action provides fast adjustment for required hub diameter. 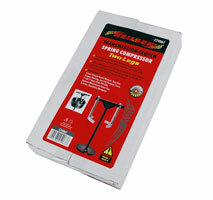 8 interchangeable spigot adaptors aid close alignment. Adaptors : 12 | 14 | 15 | 16 | 17 | 18 | 19 | 20mm diameter. Expanding mandrels : 15 - 19mm | 20 - 26.6mm | 23 - 36mm diameter. 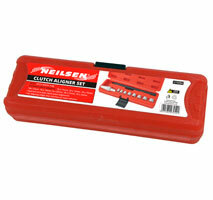 For alignment and installation on the workbench. 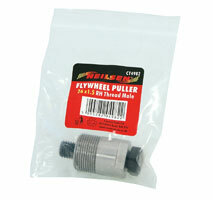 without pilot bearing in the flywheel. 3 different size expanding collets. 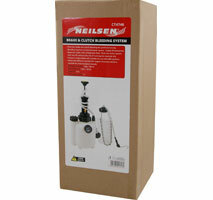 For clutch discs with 15 to 28 mm clutch hubs. on most vehicles with or without pilot bearing. Alignment according to friction surface of the clutch pressure plate. 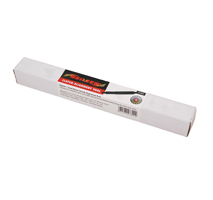 For extracting the clutch release shaft on the Fiat Ducato with pulling clutch. 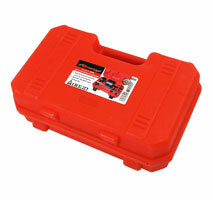 Required for clutch replacement and gearbox repair on 1994 models. 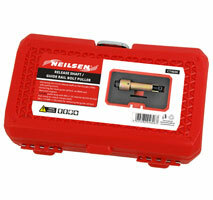 Includes puller body with M8 x 1.25 internal spindle thread pull clamp. 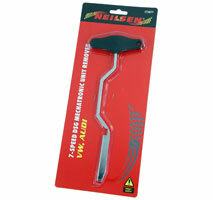 Also for extracting the chain guide rail bolt on BMW and Mercedes engines. Also Dodge Avenger and Journey plus Chrysler Sebring. when you insert the tool between clutch lever and gear housing. 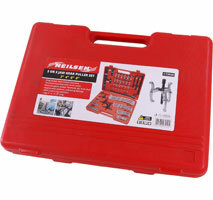 For pre-tensioning self adjusting clutches before removal or installation. 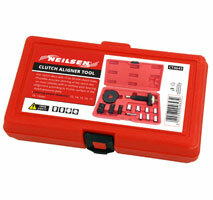 Features a refitting tool to allow the clutch adjuster to be wound back. 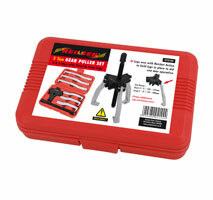 Includes a selection of clutch plate and spigot alignment adaptors. 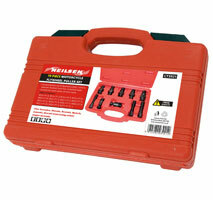 Spigot adaptors : 13.9 - 21.9mm. on Audi / BMW / Fiat / Mercedes / Renault / Vauxhall / Opel and Volvo. and subsequent vibration and shortening of clutch life. on a transmission rear clutch Piston. 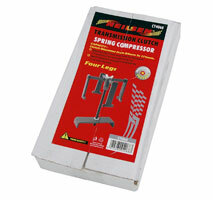 to compress Piston return springs. For use on most American cars and light trucks. 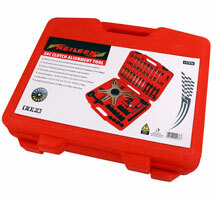 4 Leg Capacity : 64mm to 175 mm Diameter. For replacement of rear transmission clutch Piston snap ring. 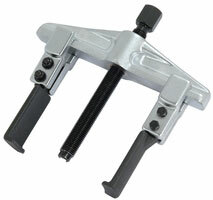 Adjustable legs fit most cars and trucks. used to separate flywheel from the crankshaft taper. Suitable for most makes of motorcycle. 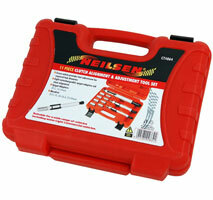 For Diesel and Petrol chain drive engines. removing the timing chain for cylinder head work. 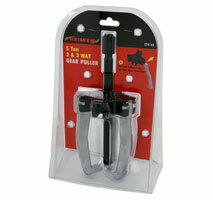 Gear Puller - 3 Jaw / 8in. Spindles - 160 / 270mm Long. 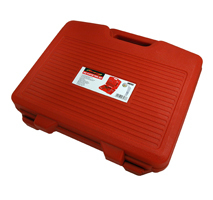 Suitable for use with ABS systems. 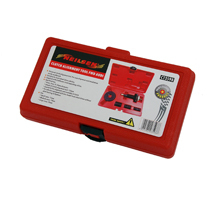 One-man bleeding system requiring no external power source. with one fill without the risk of running the reservoir dry. 42mm diameter cap suitable for most European vehicles.